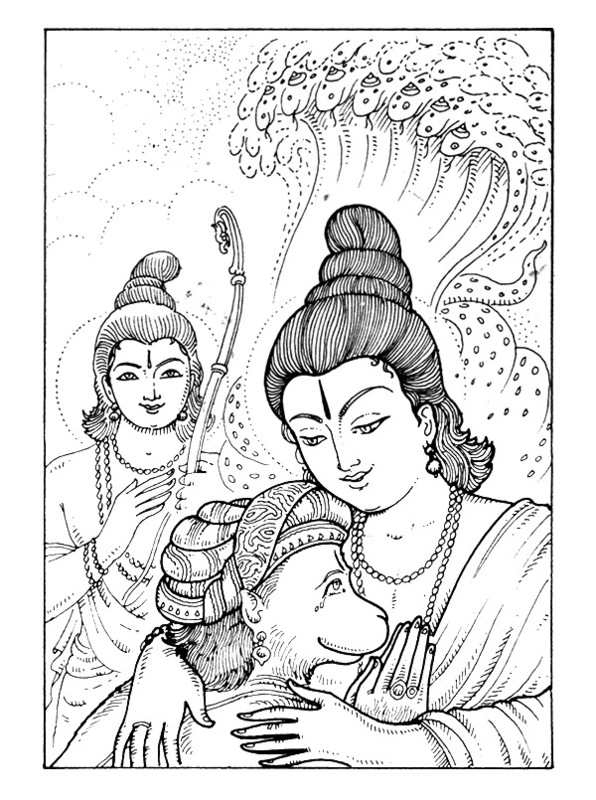 One of the outstanding figures that enter the holy pages of Ramayana and strides across like a colossus is Hanuman. His matchless character, heroic deeds and towering spirituality made Swami Vivekananda remark, ‘You have now to make the character of Mahavira your ideal. 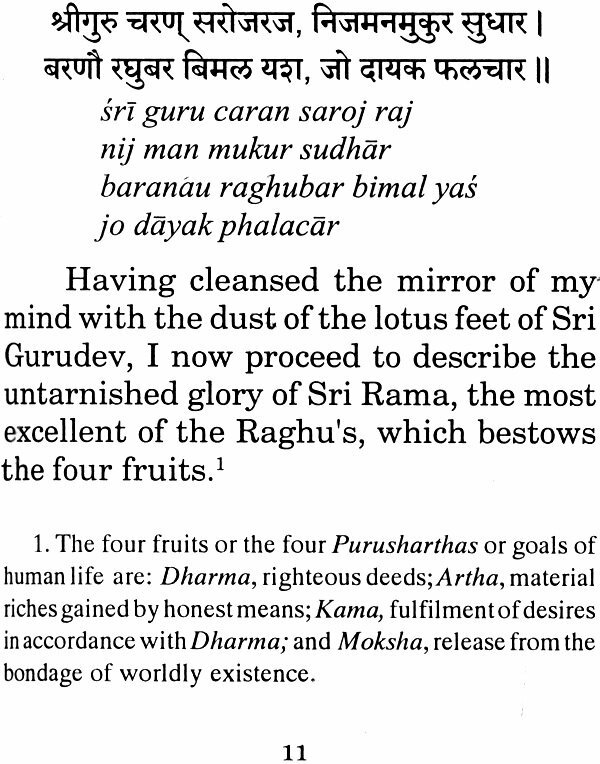 See how at the command of Ramachandra he crossed the ocean. He had no care for life or death! He was a perfect master of his sense and wonderfully wise. You have now to build your life on this great ideal of personal service. Through that, all the other ideals will gradually manifest in life. 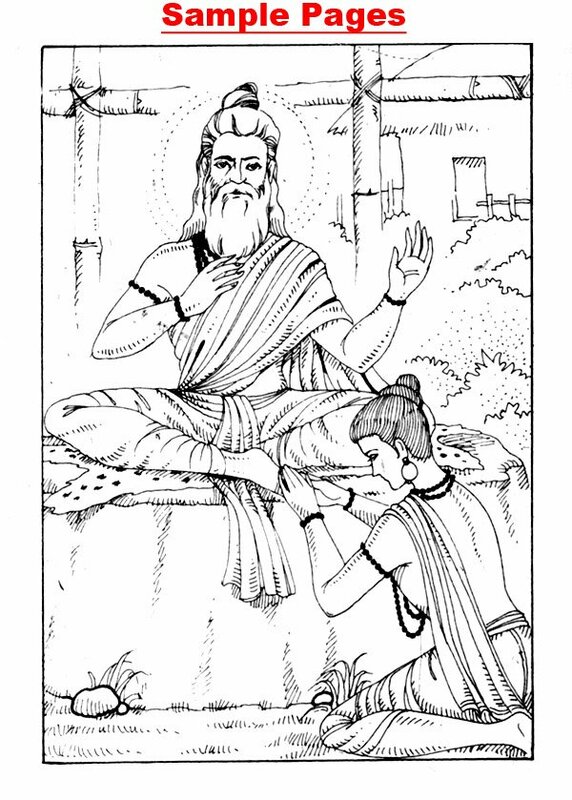 Obedience to guru without questioning and strict observance of Brahmacharya – this is the secret of success. As on the hand Hanuman represents the ideal of service, so on the other he represents leonine courage, striking the whole world with awe. 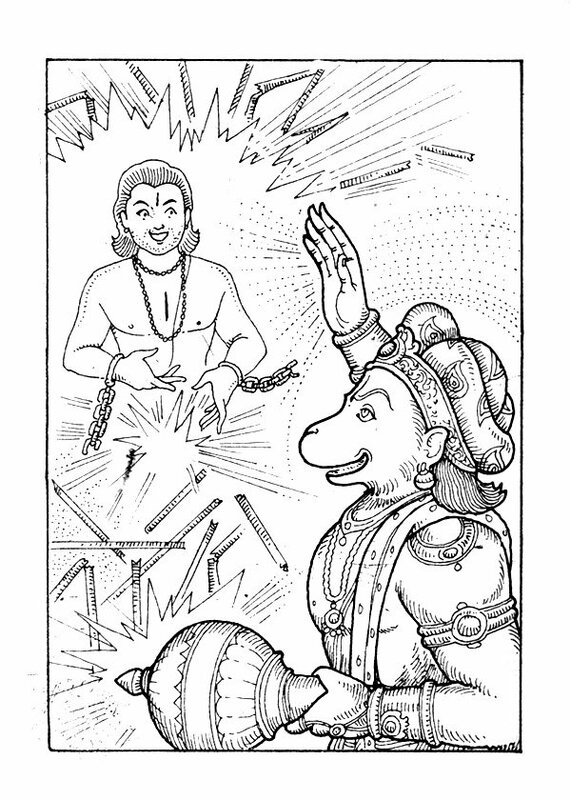 He has not the least hesitation in sacrificing his life for the good of Rama. A supreme indifference to everything expect the service of Rama, even the attainment of the status of Brahma and Siva , the great Gods! Only the carrying out of Rama’s behest is the one vow of his life! 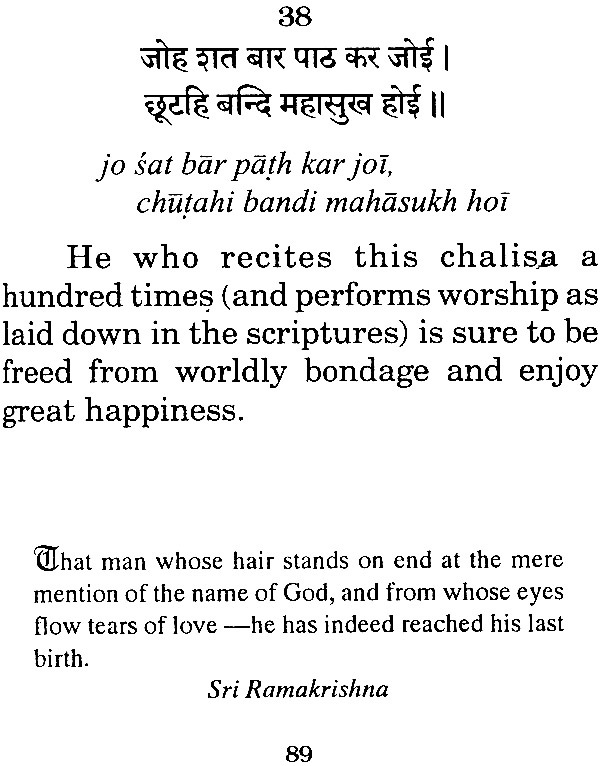 Such whole-hearted devotion is wanted. Hanuman is the embodiment of the four yogas. His will, emotions, intellect and actions were perfectly refined and grounded in spirituality. 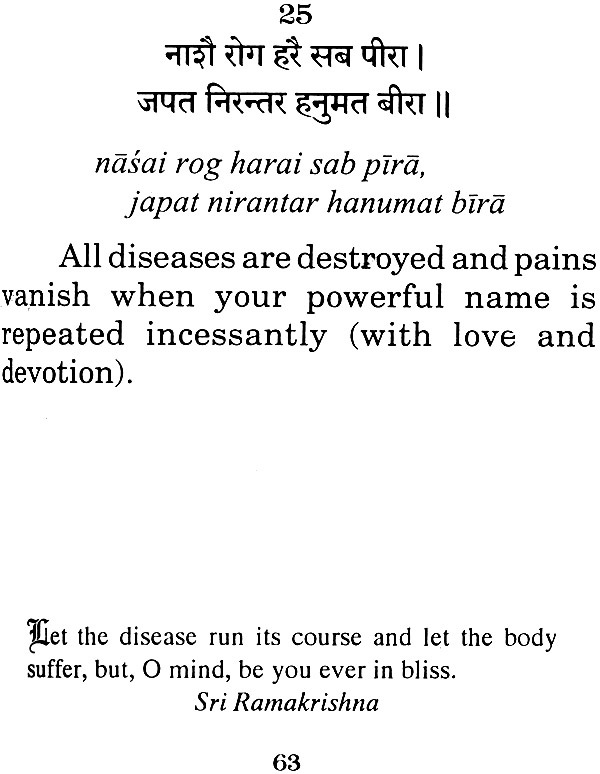 This is the mature all round character development that Swami Vivekananda placed before all seekers of Gods. 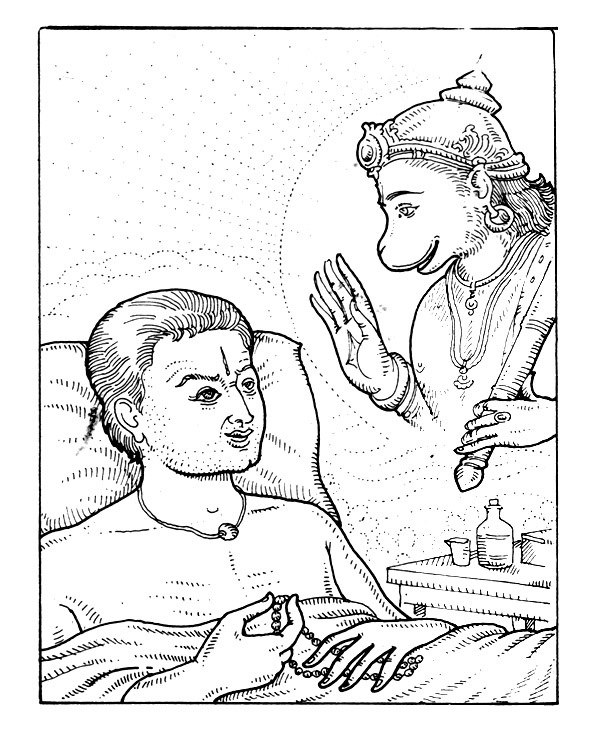 Hanuman, an ancient ideal, is therefore highly relevant to modern man. 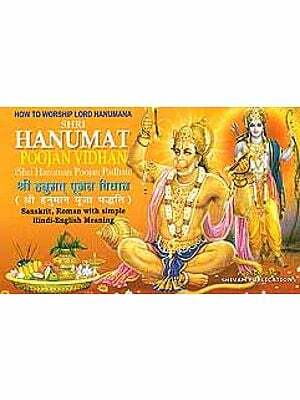 Hanuman chalisa, the boon of Tulsidas, will find a place in every home where it can act as a panacea for all problems, be they physical, mental or spiritual. We are grateful to Swami Shivapadananda, President, The Ramakrishna Centre of S.A. for permitting us to publish this compilation.